Tradeshow Rentals! Free Shipping Nationwide. Lowest Prices Guaranteed. Create a "wow" effect with DIY Tradeshow rentals! 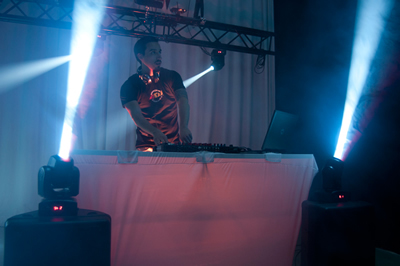 Our Tradeshow rentals include uplighting, gobo monogram lighting, starry night lighitng effects, cake spotlights, DJ party spotlights, chair covers, chair sashes, bling buckles, and more! 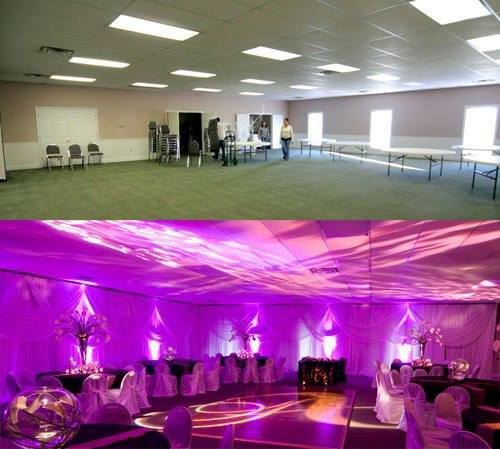 Our easy, do-it-yourself products will help you create an amazing event without breaking the bank. No experience is required - we'll provide everything you need to create the look, along with simple instructions. Read more below, or click the button on the right to view all of our products for Tradeshow rentals. All products are design for quick and easy, do-it-yourself setup. No experience required! Just follow simple instructions to set up your rental items. If you need help, we're happy to walk you through the setup process by phone or email. Our team is available nights and weekends for your convenience. Click HERE for instruction sheets or to view our demonstration videos on YouTube. 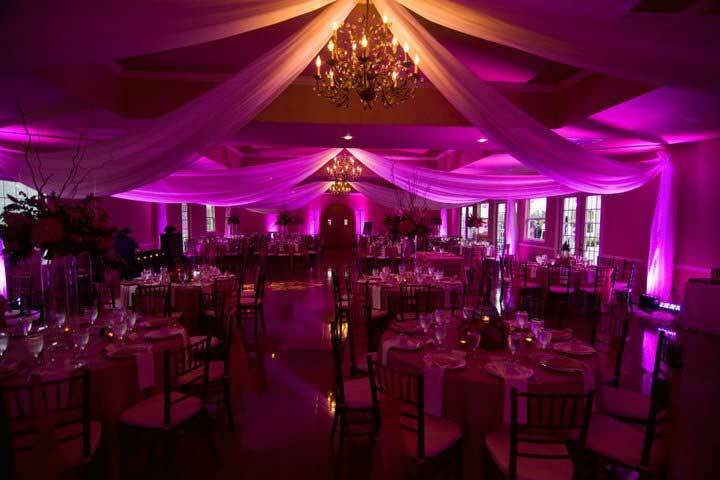 Rentals are guaranteed to arrive at least two days prior to your event date. Rentals are guaranteed to arrive in perfect working condition. Prices for rentals are all-inclusive. No hidden fees. Click HERE to read more about our 100% customer satisfaction guarantee. Or Click HERE to read our 450+ reviews on EventWire. Here are some quick links to get you started with ideas, inspiration, and videos showing how easy it is to set up our Tradeshow rentals! Enjoy FREE shipping both ways on all rentals within continental U.S. Tradeshow rentals are guaranteed for delivery at least two days before your event date. We guarantee that all rentals will arrive on-time, with all items in perfect condition. Return Tradeshow rentals to any FedEx location two days after event date. Use same box and pre-paid FedEx label provided for return. No late fees as long as you call to make arrangements if you are unable to return your items on time. Tradeshow rental policies include flexble payment options - pay 25% now and balance later. No hidden costs or fine print - all Tradeshow rental prices include everything you need. No security deposit. If you are late on a return, no late fees as you call to let us know and make arrangements for a new return date on your Tradeshow rentals. Cancel anytime before you package ships out for a full refund. Full refund will be issued within 1 business day of cancellation. We recommend reserving Tradeshow rentals about 30 days prior to your event to ensure availability. We will automatically schedule your rental package for delivery at least two days prior to your event date. Typically we can also accommodate orders placed even a few days or weeks out. The shipping time is 1 - 5 business days with our free shipping method. Express shipping is available for an additional fee. 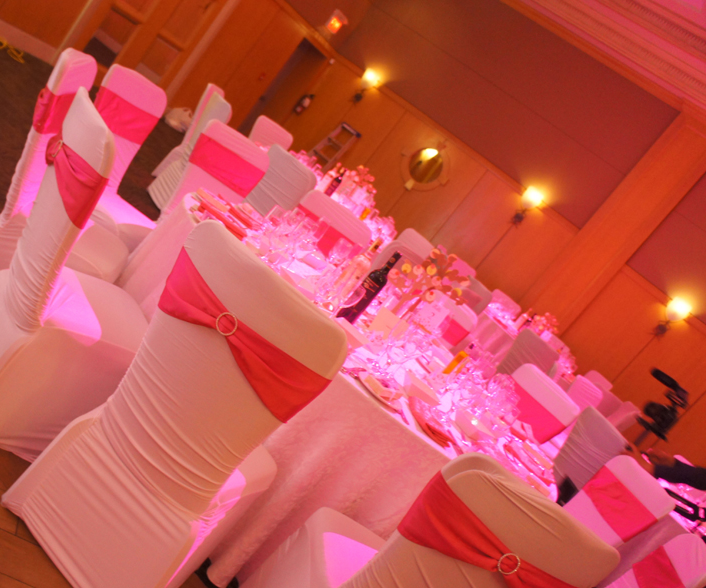 Pink uplighting transforms any room for a fabulous Tradeshow! 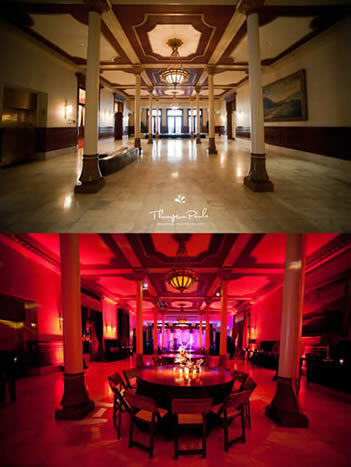 For an extra special touch, put the guest of honor's name in lights with a gobo monogram! 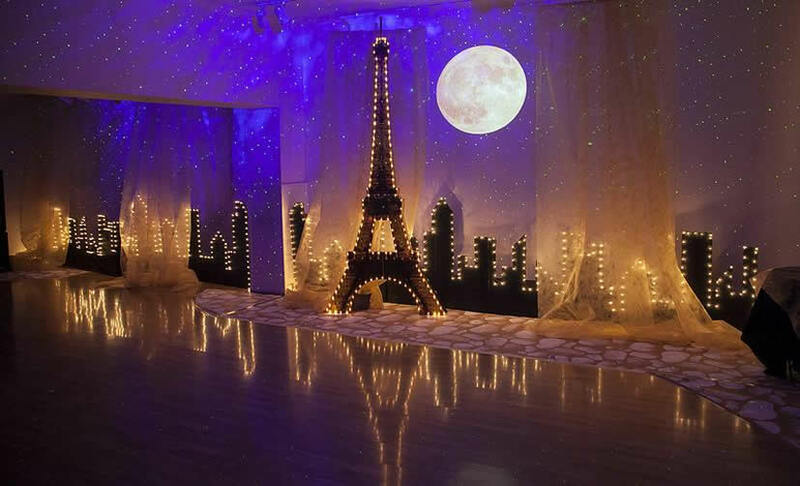 Starry night lighting creates a magical effect for a Tradeshow. 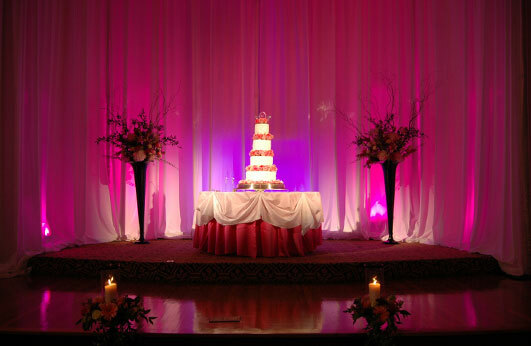 Highlight the birthday cake with cake spotlights! Add a festive flair with chair covers, sashes, and bling buckles! Get the party started with party spotlights! No experience required.